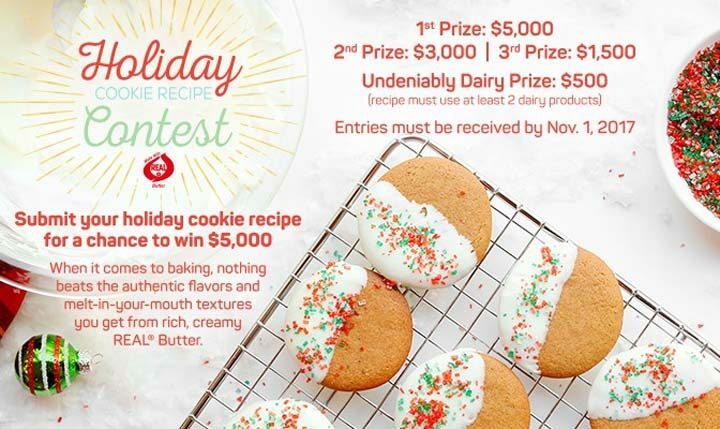 The Go Bold With Butter Holiday Cookie Contest is open only to individuals, eighteen (18) years or older and who are legal residents of the United States. The Go Bold With Butter Holiday Cookie Contest ends at 11:59:59 PM Eastern Time on November 01. Visit the contest web page at GoBoldWithButter.com/RecipeContest to complete the entry form.